Blue tie – super sharp colour that will pop your shirt combo or suit combo. Pocket square – nice matching colours that pair well with the tie. 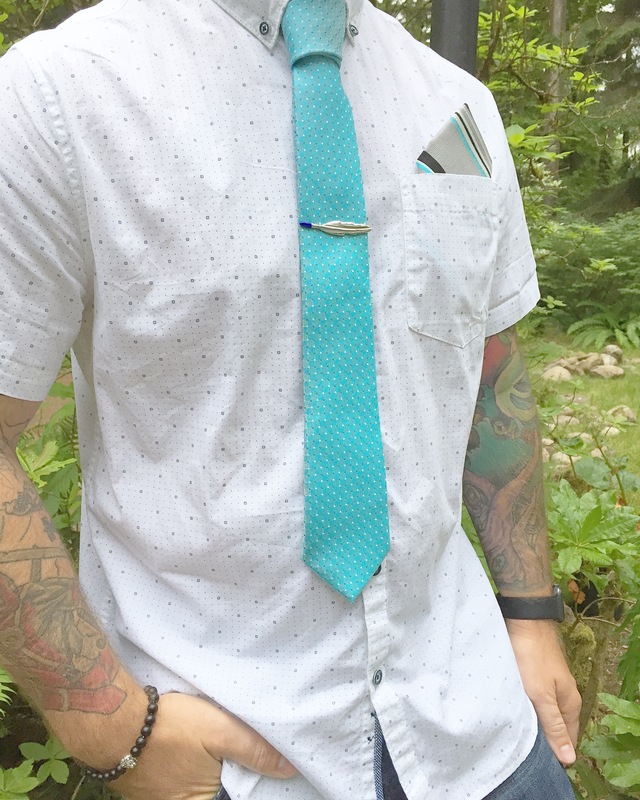 Tie clip – I love this feather clip, probably not with this tie but any other neutral colour yes! Bracelet – manly enough and have a little silver lion on it. Nice! Love the man accessories!